Cakes with Faces will be back at Hyper Japan Festival on 14-16 July 2017 at Tobacco Dock in London. 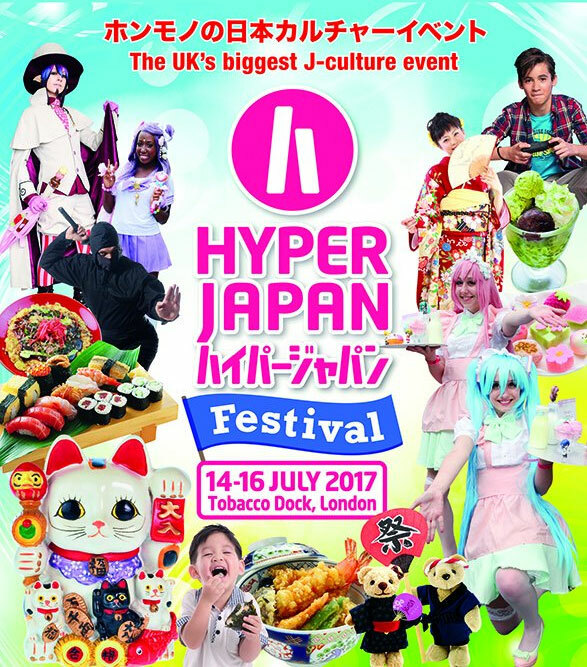 It’s the UK’s largest Japanese culture event – if you like Japanese food, fashion, music, anime, games or traditional culture, you’ll love it. I was so sad we couldn’t make it to Hyper Japan Christmas Market, so it’s great to be back this summer! 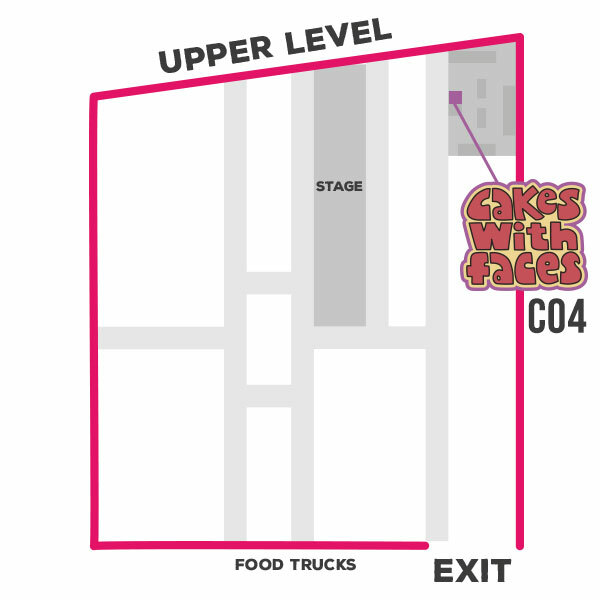 Come and visit Cakes with Faces at our booth, say hello and get yourself some cute and colourful stuff. 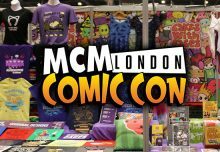 We’ll be there with colourful t-shirts, dresses, hoodies, watches, cushions and our comic book about how to make sushi! You can take a look at everything in the online shop. Our booth will be C04 on the upper level, in the shop next to Artbox. The layout’s a bit of a maze at Tobacco Dock so check the floor plan! We’ll also be filming a video at the show – if you’d like to be in it, just ask at the stall. Danny Choo, creator of smart dolls and Culture Japan, a great blog for Japlanning. Sticky Bundits food stall – they make burgers with rice buns! Japanese food stalls – there’s usually a really good selection and an opportunity to try new things. Cosplays and amazing kawaii fashion – it’s a great excuse to dress up. The festival in July is usually slightly larger than the Christmas market, with more performers and workshops. Tobacco Dock is in East London, near Shadwell and Wapping Station. 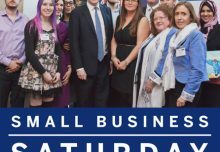 It’s a gorgeous venue; a listed building made up of courtyards and a maze of shopping mall style rooms over two levels – not your typical convention centre. It’s partially outside, so it’ll be a great venue for the summer. Shadwell DLR station is closed on Saturday and Sunday but the overground station is open, so check your route! Tickets are available from the Hyper Japan website. You can choose a 3 day pass or single day tickets. Saturday is split into two sessions, so your day ticket is valid for the morning/early afternoon or afternoon/evening, or you can get a dual ticket for the whole day. Usually it’s much quieter on the Friday – all the same stalls are there and you’ll be able to look round everything with less crowds. However, if there’s a particular band or performer you’d like to see, they don’t always perform every day so be sure to check the stage schedule before buying tickets. 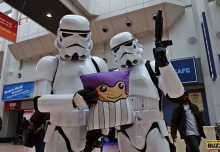 What it’s like at Hyper Japan? If you’ve never been, take a look at my video from last year to see what it’s like!